This training course has been designed to provide the necessary information and instruction to form a satisfactory understanding and awareness of the issues relating to the selection, use, maintenance, cleaning and storage of RPE according to current regulations. This training course is aimed at operatives, supervisors and managers who wear RPE on a frequent or infrequent basis and/or have a duty to manage RPE procedures in the workplace. 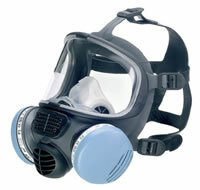 Respiratory Protective Equipment (RPE) is unlikely to provide optimum protection if the wearer does not know how to use, maintain and store the equipment in the correct manner. Employers are required by law to ensure that suitable training for RPE is provided before first use to all existing and new operatives, supervisors and managers and thereafter refresher training should be provided at a suitable period. Refresher training is especially important for those who wear or maintain RPE on an infrequent basis.